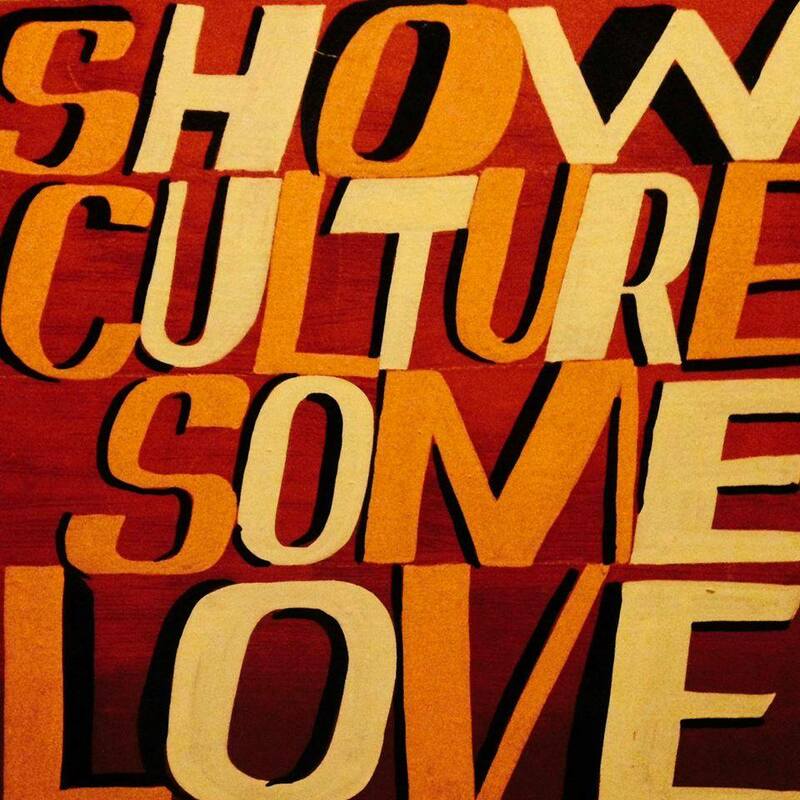 The Future of Arts & Culture Conference 14th March 2015 launched the “Show Culture Some Love” campaign page. The main aims of the campaign are to stop the cuts to arts & culture funding and to make the case for greater investment. 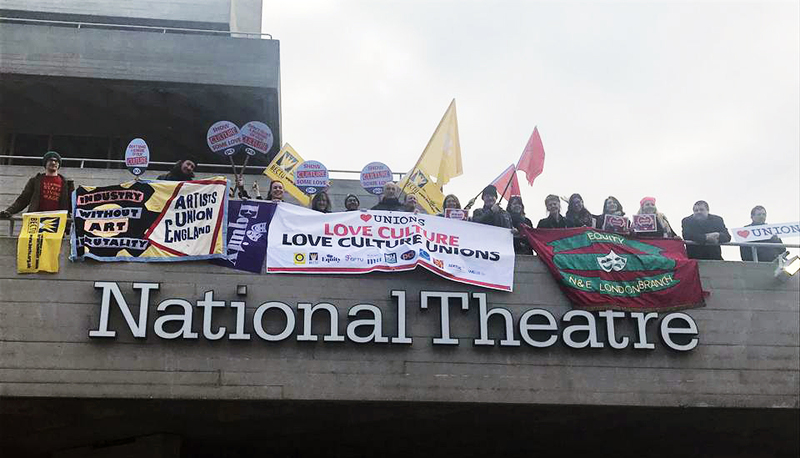 The campaign is organised by SERTUC’s (Southern & Eastern Region TUC) Creative & Leisure Industries Committee & the PCS union in partnership with Equity, BECTU, the Musicians Union, TSSA, UCU, Art not Oil, Reel News, Artists Assembly Against Austerity, the Art Party & Artists’ Union England. Tim Newton’s fantastic film of the conference can be found HERE. 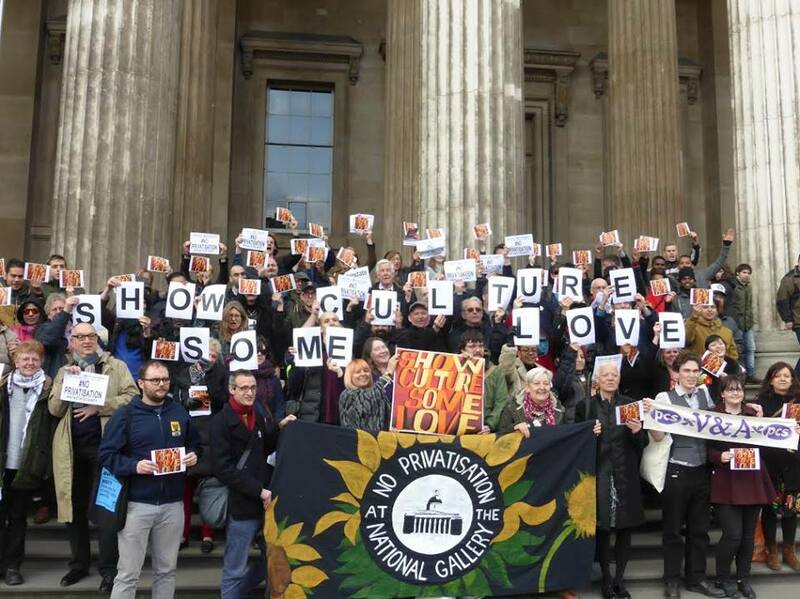 In 2017, AUE took part in the campaign’s tour of cultural venues on Valentine’s Day, stopping at the BBC, ENO, Tate Modern, the National Gallery and others – catching up with old campaigning allies and making new connections. 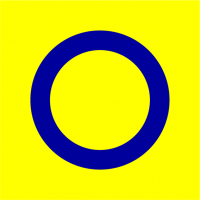 As part of this campaign, supporters are asked to contact the candidates who are standing for election to parliament in their constituency. The aim is to ask them to support the pledges unanimously agreed at the conference on “the future of arts & culture” held on 14 March 2015.